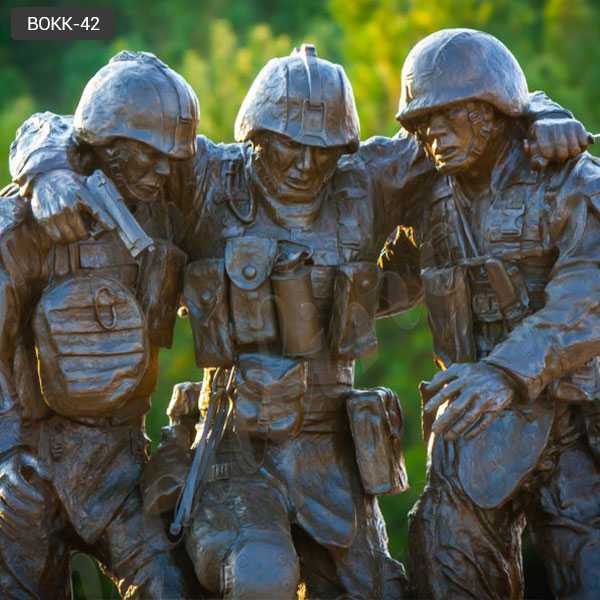 No One Left Behind Statue is a 7-foot-tall by 6-foot-wide sculpture was unveiled at the Wounded Warrior Battalion complex aboard Camp Pendleton, California.If you want to know more about the No One Left Behind Statue,or want to custom made a sculpture in bronze sculpture ,please contact with us right NOW ! 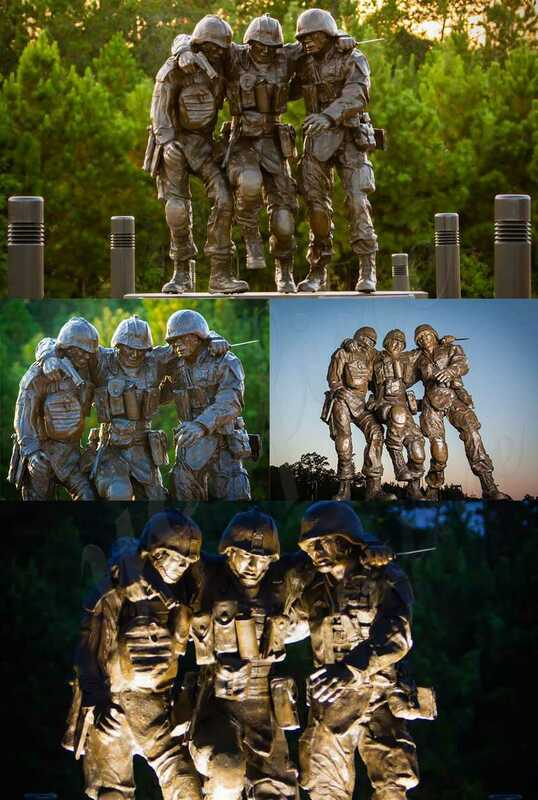 No one is left behind, here is a brotherhood of the Marine Corps. 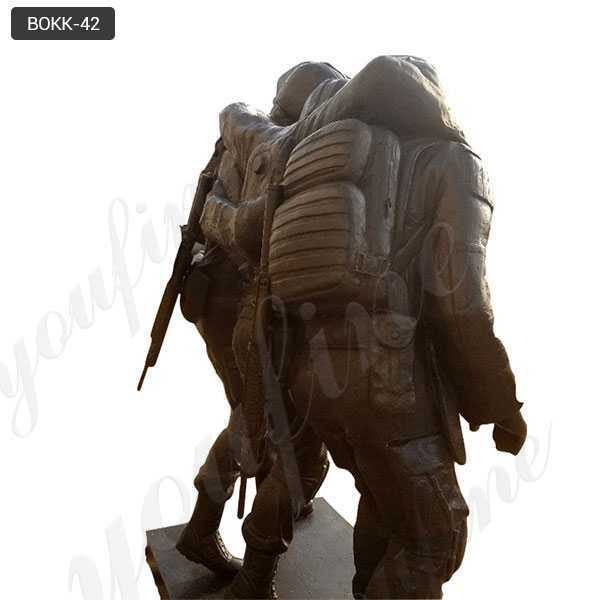 You join the Marine Corps to fight for your country, but when you get there you’re fighting for the guys on either side of you. 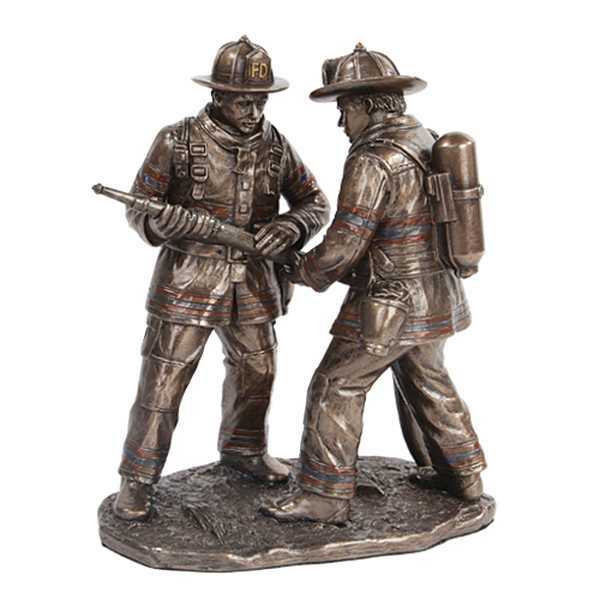 Now the image has been turned into a bronze sculpture by Wyoming artist John Phelps. 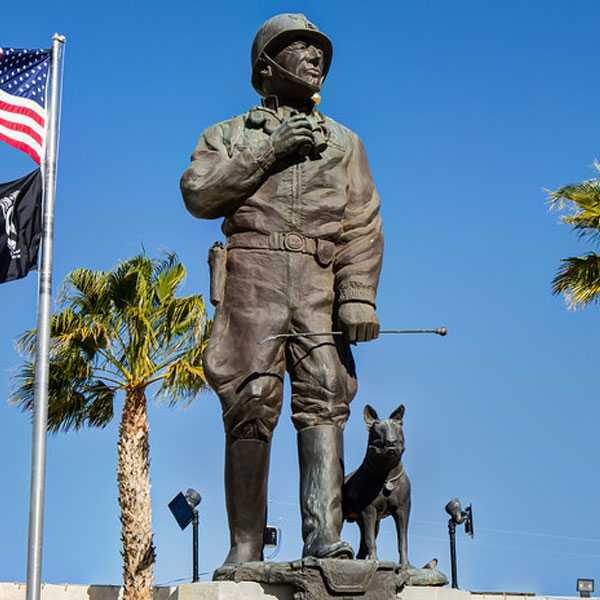 Titled “No Man Left Behind,” the sculpture was unveiled last week outside the Wounded Warrior West site at Camp Pendleton. 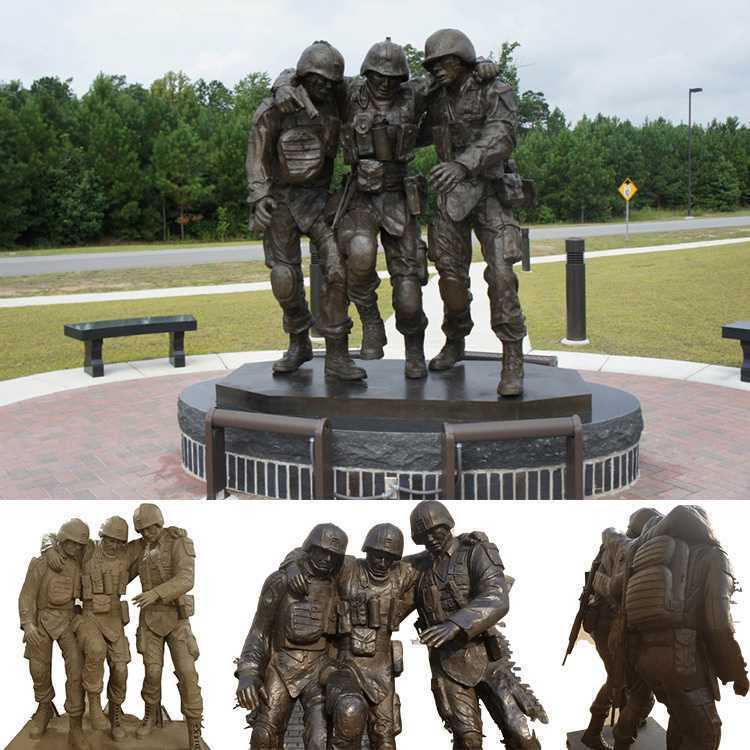 No One Left Behind Statue is a 7-foot-tall by 6-foot-wide sculpture was unveiled at the Wounded Warrior Battalion complex aboard Camp Pendleton, California, on Nov. 12. 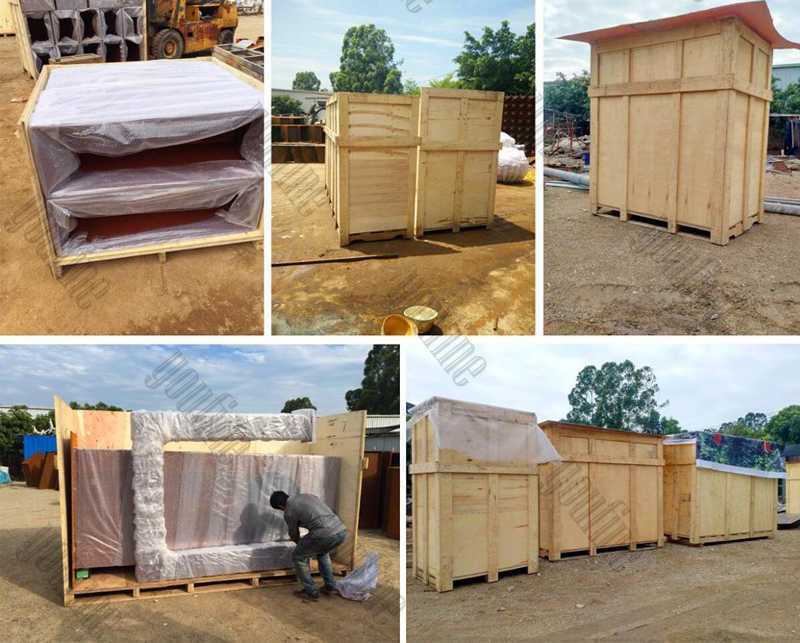 It now sits outside the center where Marines receive medical care, mental health counseling, and assistance as they transition into the next phase of their life. 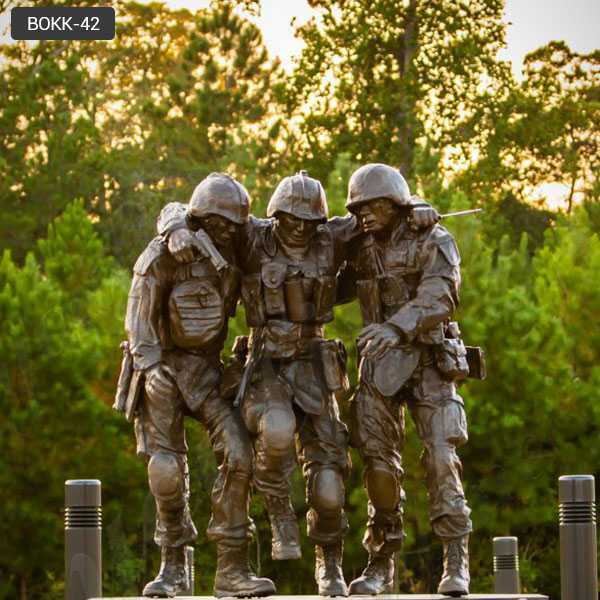 The monument brings to life the iconic photo captured in Fallujah by acclaimed combat photographer Lucian Read.The monument was created to honor those wounded in the line of duty and those who never returned home. 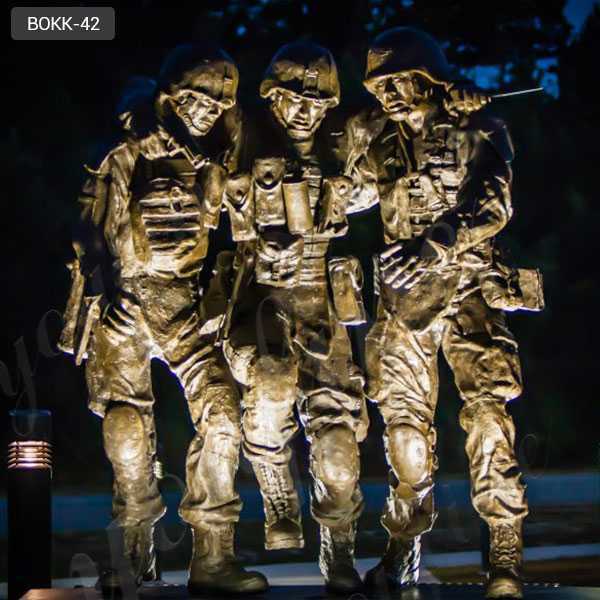 Representing the ultimate price of battle, the spirit of brotherhood, and dedication known by service members and their families, the photograph Hell House and now the monument No Man Left Behind are iconic illustrations to our service members. 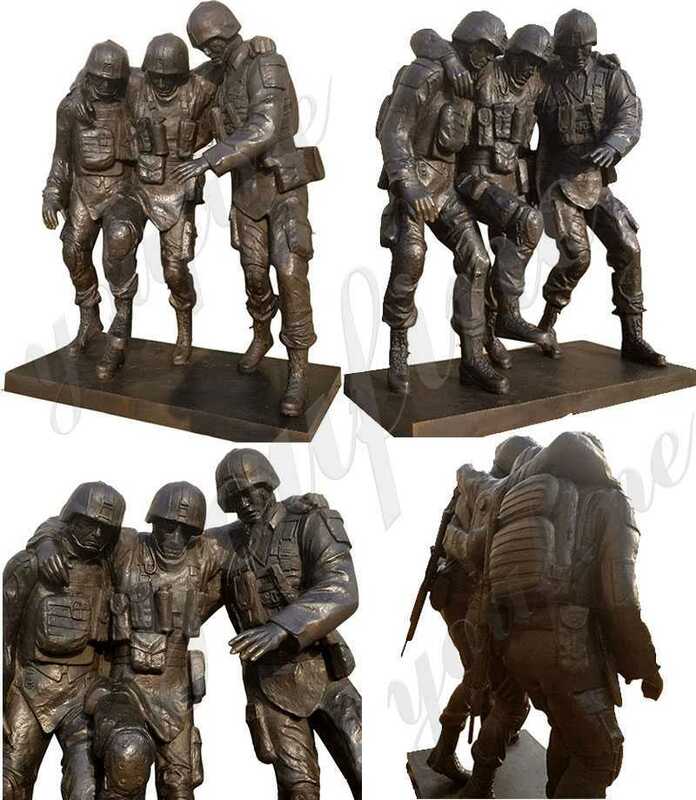 The No One Left Behind Statue were presented to the Marine Corps from the organization, Hope for the Warriors , a nonprofit that works in various ways to help post-September 11th service members and their families, including those who have sustained physical and psychological wounds in the line of duty. 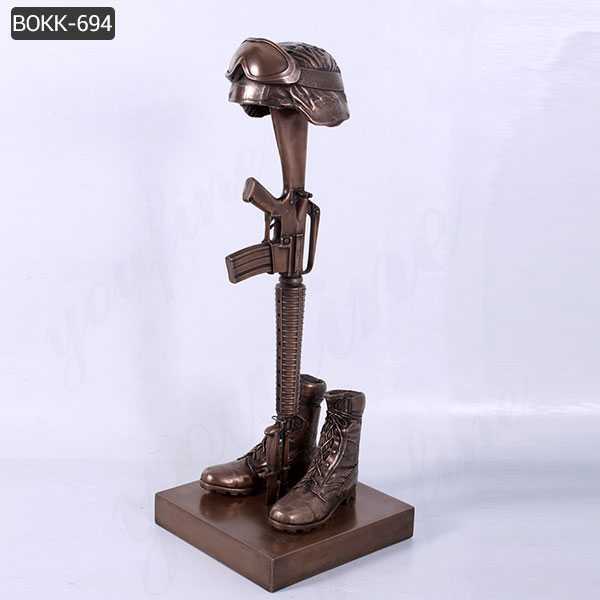 The sculpture project was supported by Hope for the Warriors, a nationwide nonprofit that assists Iraq and Afghanistan veterans and their families. 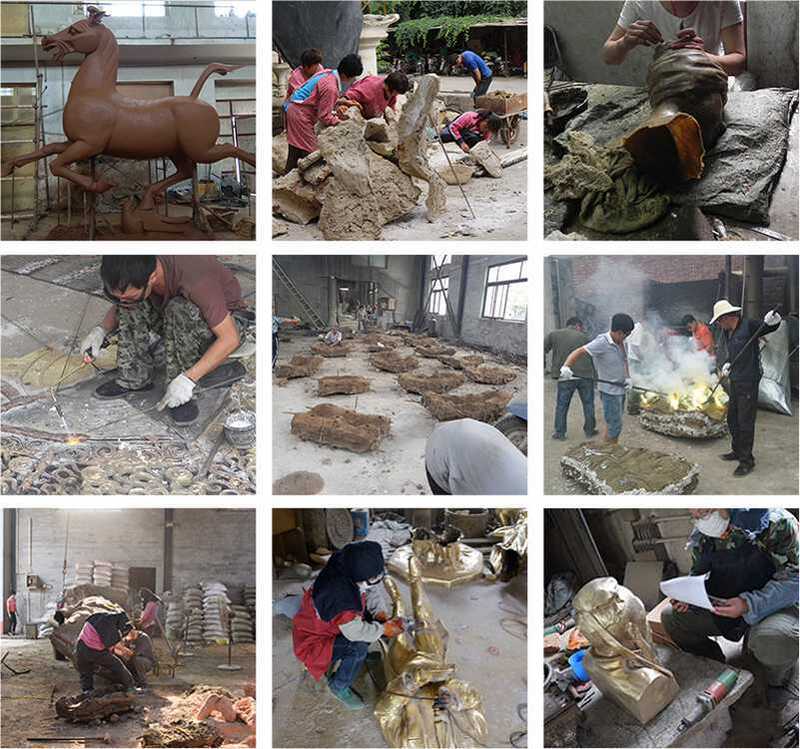 If you want to know more about the No One Left Behind Statue,or want to custom made a sculpture in bronze sculpture ,please contact with us right NOW !